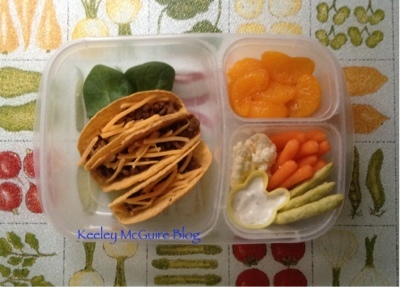 Little Miss loves when there's leftover taco meat from dinner... because that means she gets leftover tacos for lunch! 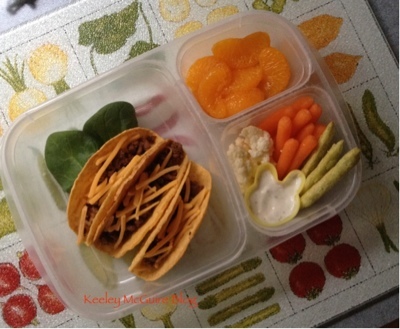 In the main compartment she has three mini corn shell tacos with ground beef & cheese. The top right has mandarin oranges. Bottom left are cauliflower florets, baby carrots, and crisy snap peas.